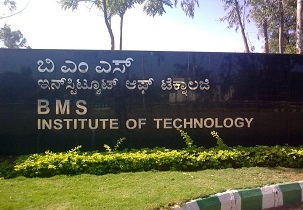 BMS Institute of Technology was brought into existence in the year 2002 under the aegis of BMS Educational Trust, Bangalore. The private institute is affiliated to Visvesyaraya Technological University. The institute is accredited by NAAC with ‘A’ grade and the courses are approved by AICTE. 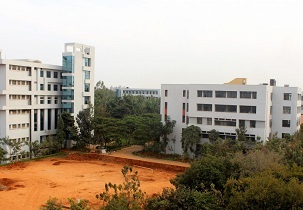 BMS Institute of Technology is located in north Bangalore spreading across 21 acres of land. BMS Institute of Technology awards bachelor’s and master degree for the students in engineering in various domains. Admission Highlights:BMS Institute of Technology organizes UTSAHA: annual intra college symposium hosted by the students and staffs of the college. It consists of several literary, cultural, academic and musical events to encourage the students to exhibit their talent in their expertise field. The institute also has collaboration with Melton Foundation to build a worldwide community of talented people from diverse cultures. BMS Institute of Technology has been ranked top 45th top engineering college in Outlook India, attained 37th rank in All India Ranking and ranked 5th in Bangalore Ranking. The institute has attained 95th position out of 100 by National Institutional Ranking Framework. Pass 10+2 examination with more than 50%. BMS Institute of Technology encourages students to participate in co-curricular activities by organizing Poster competition, Essay Competition, NSS, Energy Audit and Conversation, Quiz Competition and Sports that falls outside the realm of normal curriculum of the college. BMS Institute of Technology is located near Avalahalli State Forest, Nandi Hills, JP Park, Orion Mall, Esteem Mall and many other attractions to visit. Bachelor’s degree in respective or relevant branch of engineering and technology More then of 50% marks (45% marks) . PU BOARD EXAM PCM 93.5% & KCET RANKING 10522? What are the exam required for admission in BMS Institute of Technology , and also the dates on which the exams conducted ? 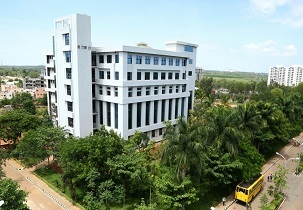 BMSIT Bangalore accepts COMEDK/KCET score for admission in B.Tech. COMEDK entrance examination will be conducted mostly during the month of May every year. KCET entrance examination will be conducted mostly during the month of April every year. What is the Eligibility criteria for admission in BMS Institute of Technology? Candidate should have minimum 50% aggregate in 10+2 from a recognized board. Candidate should have a valid score in COMEDK UGET/KCET for BMSIT Bangalore. BMSIT admission is based on rank obtained in entrance examination. Candidates can apply online/ offline with required information for BMSIT admission. Can I know what is the admission procedure for BMS Institute of Technology? Aspirants must have minimum 50% aggregate in 10+2 (PCM) from a recognized board. Aspirants must have a valid score in COMEDK/KCET entrance examination for BMSIT admission. Aspirants can apply online/offline with the required details for BMSIT admission. BMSIT admission is based on the score obtained in entrance examination. Please provide a details of fee structure to get admission for BE in BMS Institute of Technology? Are you Interested inBMS Institute of Technology"? Please provide the following details.